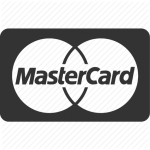 Hello and welcome to our website! We are sisters Liz & Sophie, here is our story. . . .
After studying fine art together for 4yrs we decided we wanted to use our creative side to start our own business. After a few months hand-making all of our own products to sell at fairs and online we realised there was just not enough hours in the day to do it all ourselves . . . so we sourced some quirky individual products from select stockists and set up our own market stall. Our first market stall was in our home town of Leek in the trestle market and we soon expanded to Bakewell, Chesterfield and Newcastle-under-lyme. We also had stalls at a range of craft fairs where we met some lovely people and more stockists! Markets were a great way to start a business, we had soon expanded our ranges and had a loyal customer base but gosh it was hard work! 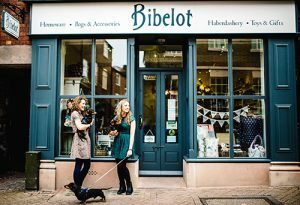 In late 2009 a small unit had become available in the quaint ‘Getliffes Yard’ based in Leek, we took the plunge and ‘Bibelot’ was born! For those wondering where our name came from – our Mum is an avid book reader and is a fan of the ‘Mapp and Lucia’ series of novels by E. F. Benson. One of the characters, Georgie had a glass topped case where he kept his ‘bibelots’ – small objects of curiosity, beauty, or rarity [bib-loh; French beebuh-loh]. We just loved the name and so we became Bibelot! In 2010 we became official stockists for Cath Kidston and quickly began to grow out of our tiny shop! The search began for a larger shop . . . No.2 Sheepmarket was in a sorry state, it had been empty for 10 years and was in a very poor state of repair but we have very talented family and friends and decided to take it on and give it a new lease of life! So in February 2011 it was officially our shop! Now the real work could begin . . . . we had to go back to brickwork and start again (take a look at our blog for the full story and photos) but eventually we turned it into the fantastic building it is today! Our new bigger better shop opened on the 12th November 2011, with 3 rooms over 2 floors packed with gorgeous goodies you can lose yourself for hours! Due to demand we opened our haberdashery and craft room in 2012. In 2013 we revamped our 1st floor and swapped the rooms around to make the haberdashery room even bigger and better and in 2015 we moved the craft workshops into a fab new room on the second floor enabling us to expand on our fabric, wool and haberdashery ranges in our 1st floor haberdashery & craft room. We also run a range of crochet, knitting, sewing and needle felting workshops in a private room on the second floor of our shop. . . . . So there you have it, we are up to date. Please pop by and see us, you might even meet our ever so cute Miniature Dachshunds, Belle, Florence and Zebedee who are Bibelot’s resident shop dogs (well in the daytime anyhow! ).